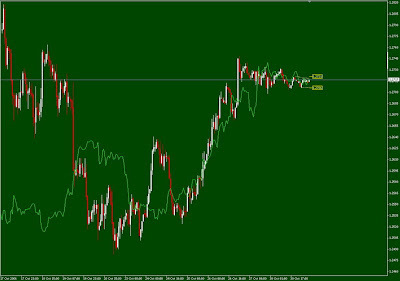 Alternative price chart display indicator for Metatrader 4 / Metatrader 5 - see ALL possible timeframes on 1 price chart! 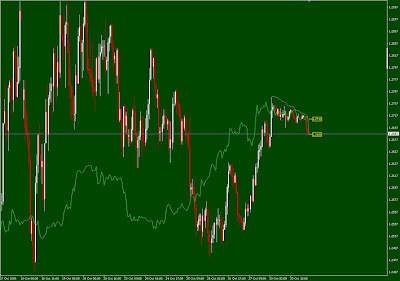 Forex market is working constant 24/7 etc. So why should we divide the price chart to hours, days, weeks? If we use ticks to draw our chart and take the last 60 minutes for example, then our chart will be different from the standard 1 hour chart. 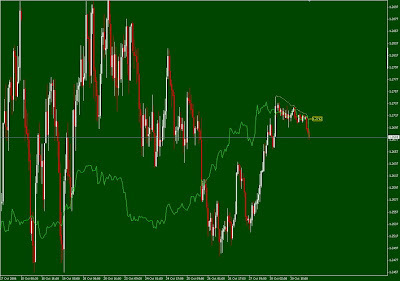 Of course, the both charts will be somewhat similar to each other, but there will be enough difference to make candlestick analysis for example useless. So the price has gone in both cases the same way, but the charts are different. So there is somehing wrong about the way the charts are builded. 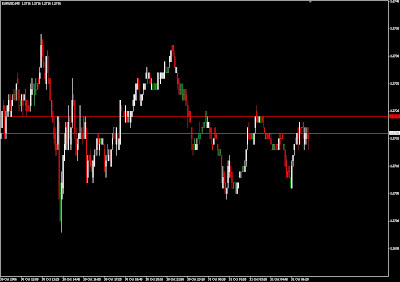 The problem is that the stock (session) way of building charts for the forex market is not so good. The division to fixed periods of time like hours, days etc is incorrect. The answer is simple - candlesticks and bars that work with fixed periods of time give us of course some representation of the market current situation, but they do not take away the overall confusion and haze before the traders eyes. Nonetheless, the forex chart that is extended in time has to be shown, so the separation to timeframes is needed in any case. BUT, the WAY the separation happens is the most important thing. The separation to timeframes must be done independently from the academic hour. To draw such price chart we must go from the last tick or last minute back to 60 minutes earlier - that will give us the first candle / bar on our price chart. The next 60 minutes back will give us the second bar etc. That means of course that with each tick or minute the price chart will be redrawed, but this is not a problem, the program can do it automatically. So now we have a price chart that is unbinded from time. It means that the price chart has no beginning and no end, no sessions. 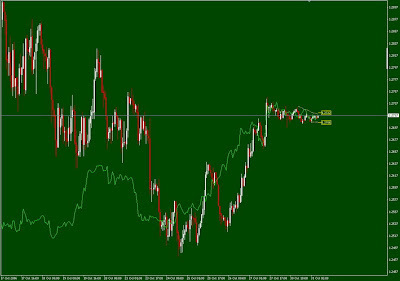 The are only bars on the price chart which represent some custom time periods back, 1 hour for example. The chart is also constantly changing. 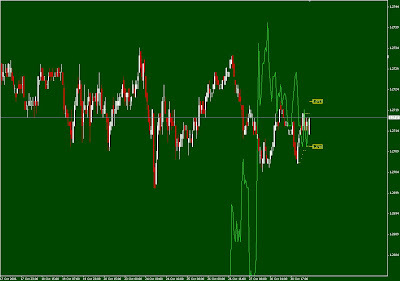 On the forex market the price is always changing, the low and highs are constantly different etc. 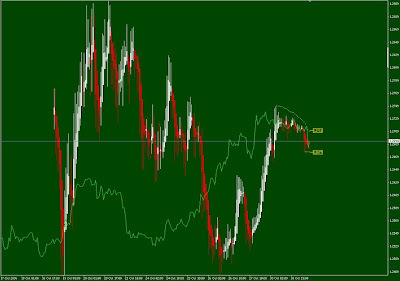 The indicators that are interpreting the price are also constantly changing. So how do do we catch a trend on such price charts? To answer this question we have to ask another one: why there is 1H chart, 4H or 1DAy, lets say i want to use a 1.5H chart. 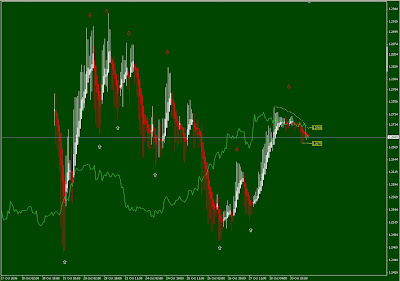 With the method described above it is possible to draw any custom timeframe charts that we want. BUT the question is: what timeframe is needed to make an adequate trading decision? The answer is - all timeframes are needed to make such decision. We must see all timeframes and whole market situation at the same time. Just think about it: when a trend begins, it begins independently from all the timeframes, because the price chart doesn't care what timeframe a trader is using. Now lets go back to the price chart that is unbinded from time - it represents the whole market situation and all timeframes that are possible. To draw such a chart we use the method that was described above, with the exception that the first bar on the right represents the last minute, the second bar - 2 min., the following - 3 min. etc. So every previous bar represents a several minutes more than the following. This chart has of course some market noise. To avoid that we use the Heiken Ashi method of smoothing, usually 4-5 times. Is the code for this available for MT4? Saltcafe, yes, i'm going to post the download link and all the necessary information tomorrow or the next 2 days. Any code for this method? Did I miss something? I am unable to find the script that allows this. Please direct me to the URL to download the script from. 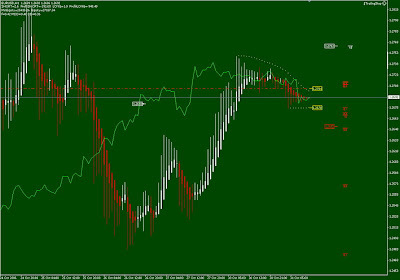 I have a range bar script which does suffer from the MT4 limitations at times, bugs out and fails to work properly after being on charts for so long. Is there a script that allows us to select seconds as our time frame as can be done in NinjaTrader? Not tick or range bar charts but seconds. Scrap my post above. I found the script. But how about one that allows users to select the number of seconds for time a chart is updated?